The Control Roadshow provides both visitors and exhibitors with an excellent way to network within their own region, and the chance to understand each other’s requirements and needs. View and discuss the latest equipment, technical developments and business opportunities in automation that fuel innovation and growth. Keep yourself up to date. Network with your industry colleagues. Witness the launch of new products and services. Evaluate products and suppliers – you get competitive information about a wide range of products and suppliers in a short space of time. Compare and discuss specific issues, features, prices and conditions. Look for specific products and services. Find information to solve specific problems. 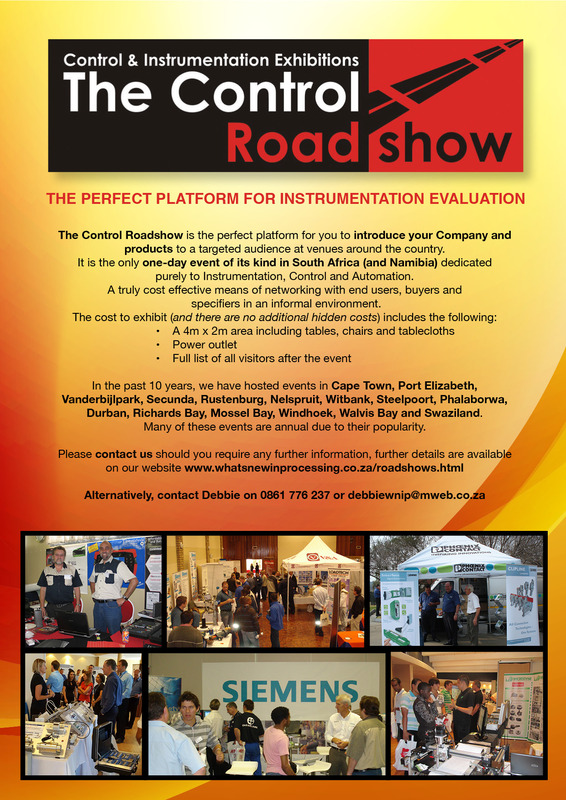 Learn – The Control Roadshow is a great place to extend and deepen your knowledge. Network – The Control Roadshow provides a unique venue for people with common interests to connect personally with one another. Attendance and registration are free, and we encourage you to pre-register.